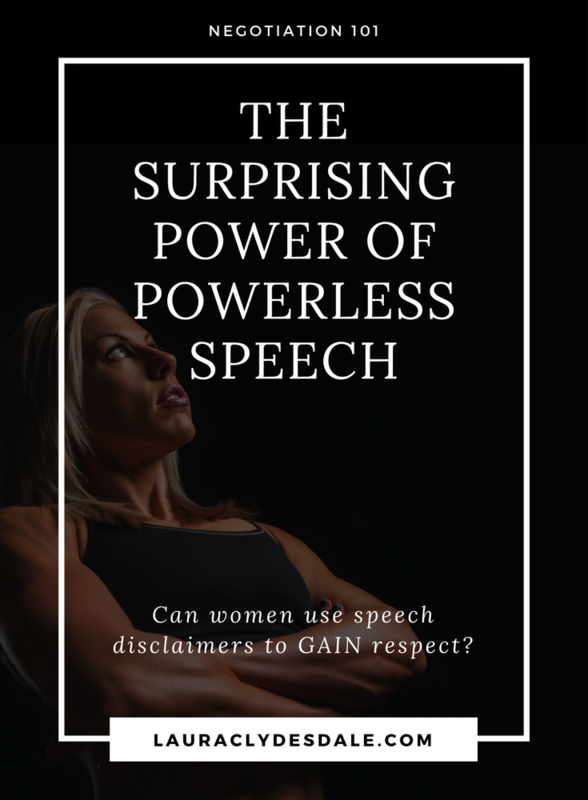 There has been a lot of conversation and media attention lately about the negative impact on girls and women when they use disclaimers in their speech. However, there is a dissenting opinion out there and, before we start burning our bras, it’s worth taking a look. This opposing view believes that the proper use of disqualifiers, hedges, and hesitations can actually make you powerful, not powerless. This expert says that the most well-respected men do it too. All kidding aside, Rachel Simmons, the author of Curse of the Good Girl, says this habit starts early when young girls ask themselves questions such as “did I sound pushy?” or believe other girls will think “Oh, she’s is so proud of herself...She thinks she is so amazing...She is so full of herself”. She says that when they think this way, they start to “dilute their strong opinions” and create, instead, indifferent remarks. But what if our natural inclination to not sound pompous, aggressive or abrasive could be turned into a superpower? After all, I’m not sure these voices of self-doubt ever fully stop in a woman’s head. Is it possible these disclaimers could work to our advantage? Adam Grant, Wharton Professor and author of Give and Take, thinks so. However, he says there is a serious and nuanced catch. This only works if you are already perceived as an expert or extremely competent. If you are, the disclaimers (especially on a close team) make you look more human, humble and approachable…like you are interested in the team or organization first, rather than just yourself. Rather than cocky or aggressive. This is when you can become powerful. However, Grant says it is essential to give people other signals establishing your competence in order to avoid what psychologists call the “pratfall effect”. That is, if you are already looking weak, using “powerless speech” gives people just one more reason to dislike or disrespect you. This is when you can become the doormat that Petri and Simmons fear. Grant says the reason this works is that assertiveness and projecting confidence doesn’t always gain influence. In fact, it can work against you. His research says there are two fundamental paths to influence: dominance (seen as strong, powerful, and authoritative) and prestige (when people respect or admire us). Individuals are drawn more towards people who are prestigious rather than dominant. They want to be on teams with those people. Collaborate with those people. Follow those people. Why? Because, honestly, who wants to be dominated? Dominance is a win-lose proposition, whereas prestige has the advantage of allowing everyone to win. This is why disclaimers and questions can be powerful. These disclaimers let people know you aren’t trying to assert your opinion for dominance sake. You are putting your opinion forward because you think it is a good one but would like to work collaboratively and hear what others think to make it better. This is why it can be a power tool. I think an adult can grasp this concept but I don’t know if my daughter is experienced enough to pick up on the difference. Is a 12-year-old too young to work on these skills? 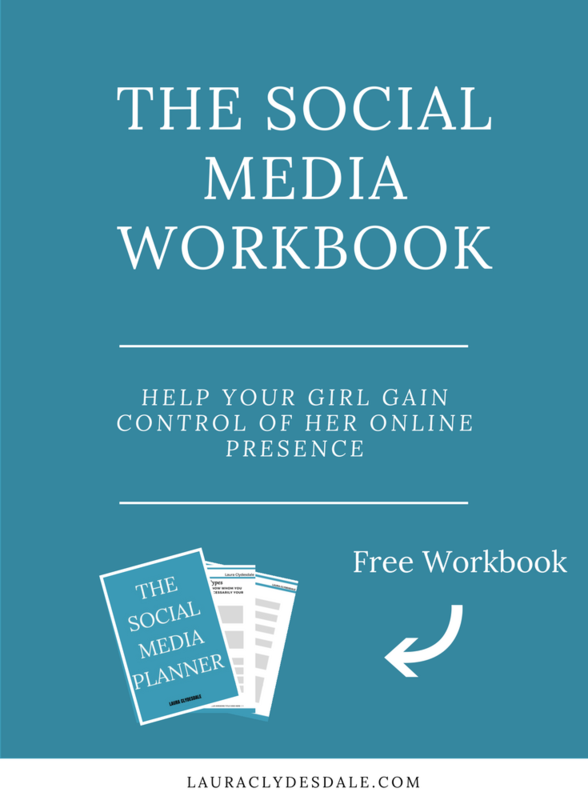 How does a young girl establish competence first? I don’t want my daughter to be a doormat either. For guidance, we need to go back to Rachel Simmons’ book, Curse of the Good Girl. There are a few items on her no-no list which I’m sure Grant would agree are true competence killers. These are easy fixes which will help our daughters demonstrate likability in positive ways. However, let’s not lose sight of the fact that these socialized behaviors have their roots in a well-intentioned place. Women are naturally inclined toward inclusiveness and this is an asset. A strength. If you genuinely care about others, what they think, and are willing to incorporate their opinions to make an idea stronger, then you will be truly powerful. Newer PostThe Frightening Truth: Your Daughter Doesn't Want to be a Leader. How to Change Her Mind. Older PostGrit (Not Talent) is the Key to Success and You Don't Need Any Magic to Get It.